Tune in for big news this month! You may have heard the rumblings on TMZ and read rumors at The Hollywood Reporter about the future of the show. 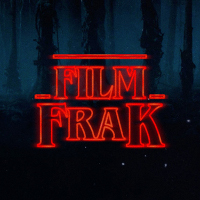 Well this episode the FilmFrak boys put the gossip to rest by confirming on air that we are now in the business of offering exclusive interviews along with all the other usual antics. Want to know who we have lined up for the coming weeks/months? Well you will just have to listen to the show to find out…or you can just expect us to blurt it all out social media sometime real soon. Then as a compendium to our interview with martial artist Brahim Achabbkhe we review BOKYA: UNDISPUTED 4 (2017). After that we review FIST2FIST: WEAPON OF CHOICE (2015), we recently had the chance to interview Writer/producer/Director/Star & registered Lethal Weapon Jino Kang and you can expect see that on the website shortly.